Parking Lot or Driveway Seal Coating is the act of placing a liquid emulsion called sealant over an asphalt base. It is typically applied over clean asphalt with rubber squeegees to seal and protect the surface of your asphalt parking lot. Sealcoating manufacturers recommend applying two coats of asphalt slurry seal to your asphalt surface every 1 to 2 years, depending on use and wear. The main reason to apply new sealcoat to your lot is to protect the investment in your property, and that's your asphalt. 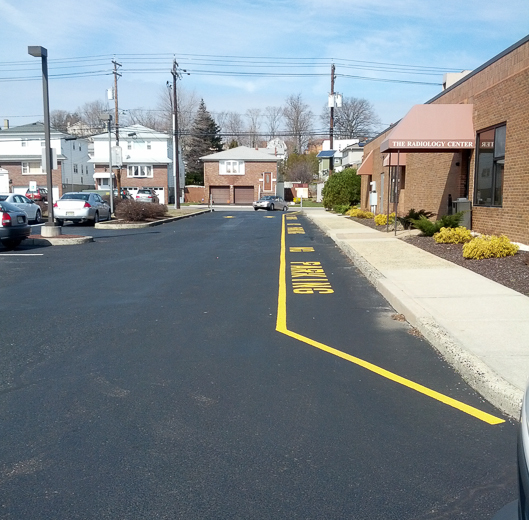 Serving Bergen County – we are doing driveway and parking lots for over 20 years.